Review the details of this page carefully. To change an item on this page, click Back and change an option, if needed, before proceeding. If everything is correct, click Next to start restoring the whole disk. 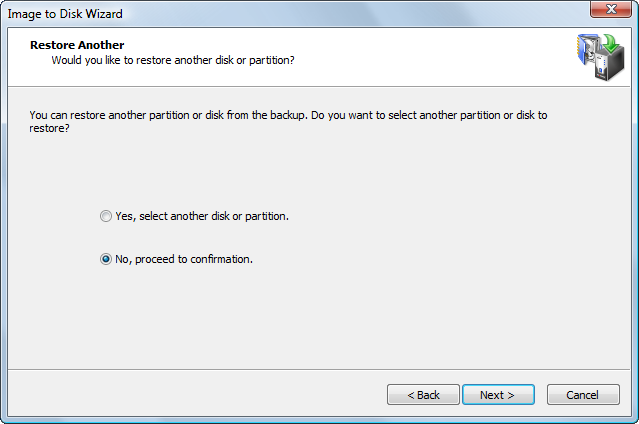 If you need to restore only one disk or partition at a time, click Next to proceed to Confirmation dialog.